Sometimes having to say goodbye to your favorite store is the worst part of moving. As mothers, wives, human beings -- planning for the next meal is a large part of how we spend our time, and for some it's an enjoyable experience. Meal planning can be a major stress reliever, creative outlet, and an important element in a family's budget. While I'm sorry to have to tell you there is no Aldi near us, there is a great selection of grocery stores that offer high quality, low prices, and a wide variety. I know, I know, this is so obvious, but we have two here. You can shop at the Lewis Main Commissary, and the McChord Field Commissary. Their prices are very competitive, with some items coming in far below other retailers. They often post military coupons to products on the shelves, have great sale prices, and even better case lot sales (you're going to want to bring the truck and stock up). They have a good assortment of international foods, a small bakery and deli, and they even sell fresh sushi every day. If you live on base, your best option is to save your gas and shop here. Sorry Sam's Club lovers, if warehouse shopping is your passion, you will have to make the switch to Costco -- but fear not, you will not be disappointed (cue Red Velvet Cake). If you've never been, imagine being able to buy your whole month's worth of toilet paper and frozen riced cauliflower at a discounted bulk price. For large families (and folks who only have time for limited shopping trips), Costco is a dream come true. You may have to supplement your shopping elsewhere for items you don't need in bulk, but the savings members receive in gas purchases alone make the membership worth it. The name pretty much sums it up -- this is an outlet for groceries. They carry the variety of items that most grocery stores do -- household, produce, meat, frozen, pantry items -- but at much lower prices. They purchase excessive inventory, or sometimes damaged inventory, from other retailers and pass the savings on to you. The only downfall is they usually don't have the same thing twice (making them a little unreliable if you have a specific shopping list), and sometimes the items are close to their expiration dates. This is the perfect place to stock up on cereals and school snacks for the kids, and they actually have an awesome cheese selection. If you are looking for a Kroger brand grocery store, then this is it. Fred Meyer is a super store -- carrying items all the way from groceries to clothing to furniture (and everything in between). Quality and variety is where they shine, not to mention a great savings program through their phone app. They have the best natural foods section, with many products for gluten-free, dairy-free, and vegan diets. If you're savvy with couponing, then Fred Meyer can offer you high quality, low prices, and a broad variety of items. Safeway is Washington's most popular grocery store, and Albertsons is its sister store. Safeway has a great produce department -- everything is fresh and clean, as well as fish and deli counters, bakery and pharmacy. Due to their popularity, they are usually the most conveniently located as they have many locations all over the state. If you download the rewards programs and shop the sales, then this chain can offer you good value, great quality, and convenience. 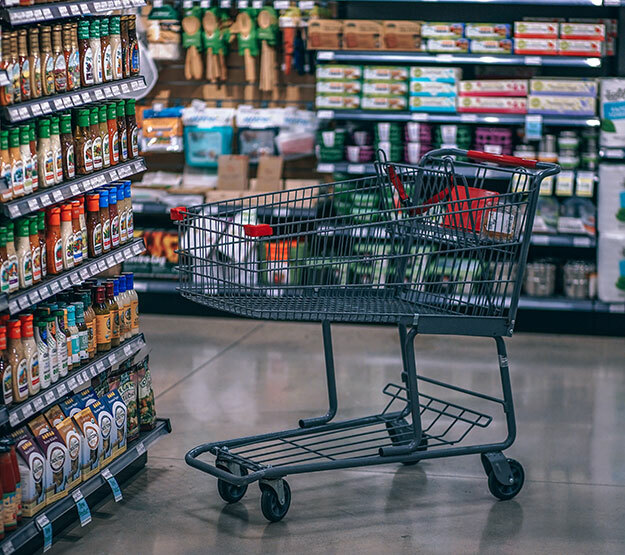 Hopefully as you settle in to your new duty station here at JBLM, this list of our favorite grocery stores will make your transition a little easier. You can also check out the JBLM Couponers Facebook page to get the inside on more sales and savings. Everyone has a different approach to meal planning and shopping, so shop around until you find your perfect fit! Winner of the Weekly Volcano's Best Grocery Store nearly every year since its opening. Higher end, with restaurant-quality deli and bakery. Notable wine selection. Check it out at: metropolitan-market.com.